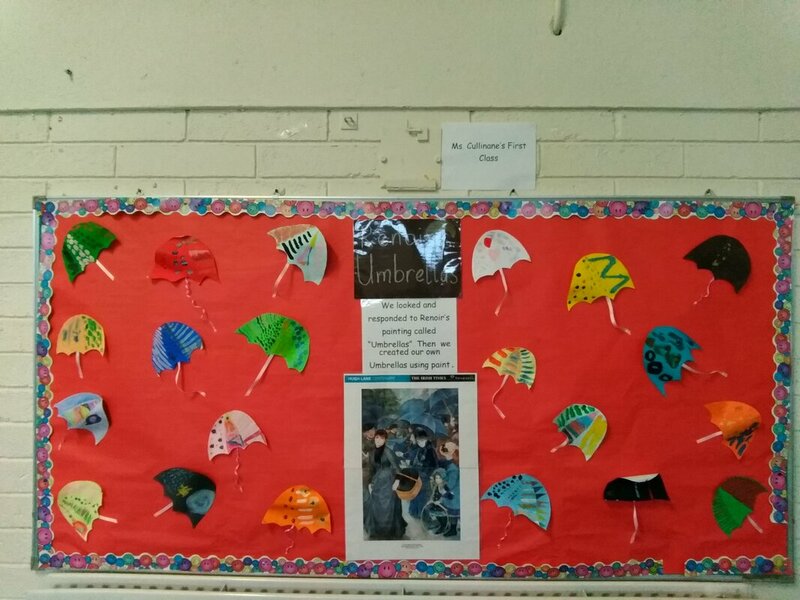 Our Response To RENOIR'S PIECE- "uMBRELLAS". We looked at Renoir's painting "Umbrellas" and discussed what we saw and how it made us feel. We created our own individual umbrella then, through the mediums of painting and drawing. 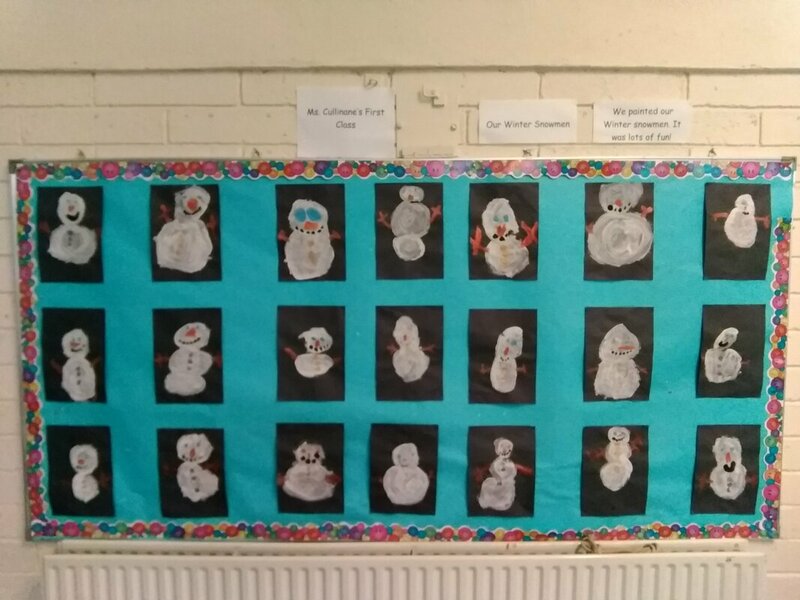 We each painted our own winter snowman. We had lots of fun creating our individual characters.